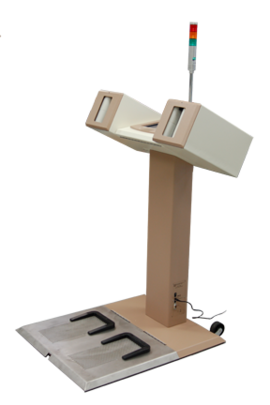 The Model 4906-Series are low-cost, industrial duty, alpha and alpha/beta contamination monitoring systems for checking personnel hands and feet. A large color, touch-screen LCD presents users with the system status and points out any potential contamination. The system employs six proportional detectors with counting activated by optical switches. Alarms are annunciated locally and can be augmented with optional relays and/or a light stack. The built-in Ethernet interface supports connection to a network for gathering all count cycles and remote monitoring of the status. All maintenance can be performed from the front of the instrument. Detector access for quick replacement or repair is facilitated by hinged top covers.